Zapier lets you automate tasks between online applications. You can create Zaps that uses an action in one app as a trigger to perform an action in another app. With this Zapier app, you can integrate Freshdesk toyour  Zapier account and create Zaps. Zaps use an action in Freshdesk as a trigger to perform an action in another app. •	When a new customer is created. •	When a Note is added to a Ticket. •	When a new ticket is created in Freshdesk. •	When a Ticket is updated. •	When a user is updated. •	Create Company - Allows you to create a Company entry in Freshdesk. 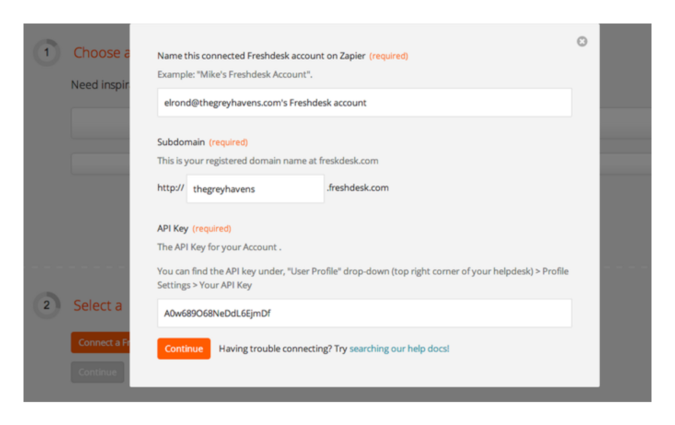 When you create a Zap that includes Freshdesk as one of the apps, you will need to add your Freshdesk account to Zapier and provide the API key. 1. 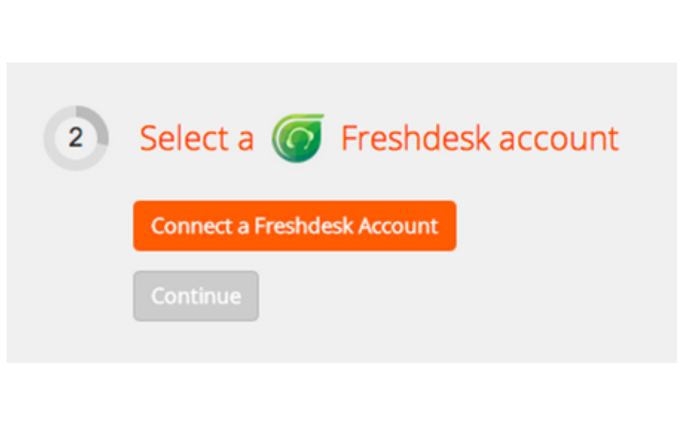 Click on the "Connect a Freshdesk account" button. 2. Give a name to the account you are connecting that is easily recognizable in the future. 3. 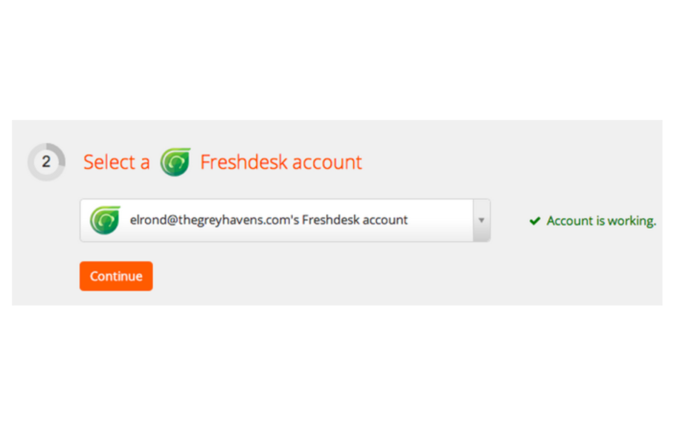 Enter the subdomain of your Freshdesk account. 1. Login to your Freshdesk. 2. Click on your profile picture on the top right of the window. 4. Your API key will be present below the change password section on your right. Click on continue and Zapier will verify your information.